Dental Implants are changing the way people live. Dental implants are designed to provide a foundation for replacement teeth that look, feel, and function like natural teeth. The person who has lost teeth regains the ability to eat virtually anything, knowing that teeth appear natural and that facial contours will be preserved. 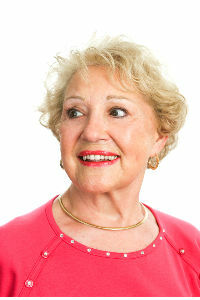 Patients with dental implants can smile with confidence. 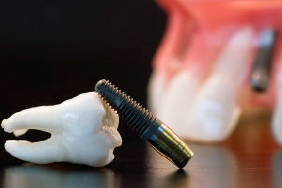 Implants are small titanium posts that are surgically placed into the jawbone where teeth are missing. These metal anchors act as tooth root substitutes. The bone bonds with the titanium, creating a strong foundation for artificial teeth. Small posts that protrude through the gums are then attached to the implant. These posts provide stable anchors for artificial replacement teeth. Implants also help preserve facial structure, preventing bone deterioration that occurs when teeth are missing. We work and collaborate closely with several reputed and experienced implant surgeons in the area. After the implant has been placed and healing is achieved, the abutment and crown components are fabricated at our office. Our team is always ahead of the curve and up to date with the advancements on implant materials, styles and techniques. Implants and implant restorations are time consuming procedures and tend to be expensive, but their benefits and performance far exceeds the drawbacks. Implants can be used to replace a single tooth, multiple teeth (implant supported bridges) or all teeth (implant supported dentures, called over dentures). Once the implants are in place, they will last for many years if you take care of them and keep your mouth healthy. This means taking the time for good oral hygiene (brushing and flossing) and keeping regular appointments with your dentist. Ask us if you are interested in dental implants. There are three options to replace a missing tooth. The most conservative and popular way of replacing a single missing tooth is with a crown supported by an implant. The decision is made based upon the space available, gum health of adjacent teeth, the amount of underlying bone and also the position of the opposing teeth. 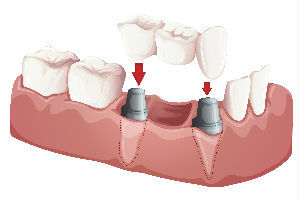 The most conservative and popular way of replacing a single tooth is with a crown supported by an implant. Our professional staff at Reddy Family Dental will be happy to discuss and assist you in making the decision. Both crowns and bridges are fixed prosthetic devices. Unlike removable devices such as dentures, which you can take out and clean daily, crowns and bridges are cemented onto existing teeth or implants, and can only be removed by a dentist. 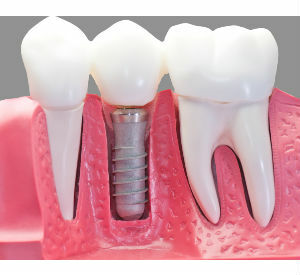 A crown is a fixed prosthetic device that is cemented on to an implant or an existing tooth. Porcelain or ceramic crowns can be matched to the color of your natural teeth. Other materials include gold and metal alloys, acrylic and ceramic and porcelain bonded to a metal shell. Each one of these materials have their specific applications and we at Reddy Family Dental can help you make the choice. 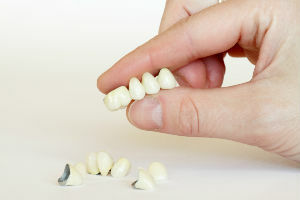 A bridge is a prosthetic appliance, which replaces one or more teeth by placing crowns on the teeth on either side of the space and attaching artificial teeth to these crowns. This “bridge” is then cemented into place. A thorough assessment of your dental condition is made at Reddy Family Dental considering both hard and soft tissues. This will be correlated with the individuals overall physical health and psychological needs in determining the type of restoration to be used. Onlays are used to restore posterior teeth, when they cannot be restored with a resin or amalgam filling. Onlays are like puzzle pieces that fit inside or over a portion of tooth and look exactly like your natural tooth. Visit Reddy Family Dental if you’d like more information! Visit us for a consultation and we can recommend your best option based on your needs. We are at (978) 772 9295. Partial dentures are an option to replace missing teeth. A partial denture consists of replacement teeth attached to a pink or gum-colored plastic base which blends into the existing gum, which is connected by metal framework that holds the denture in place. 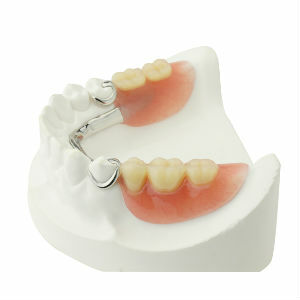 Cast Partial Dentures: Metal framework combined with a pink plastic base. Valplast Partials: Metal free flexible plastic. 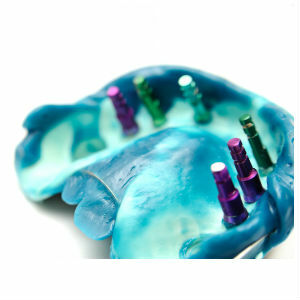 Hybrid Valplasts: Metal combined with flexible plastics, combines the features of a cast partial and valplast partial. Transitional Partials or “Flippers”:These are temporary appliances used while preparing for an implant or another type of permanent appliance. If you would like more information about partial dentures, please give us a call. At Reddy Family Dental, we think Dentistry is an art that needs precision and technique. Our dentists have a clear understanding and great skill with precision impressions that are a crucial part of a denture procedure. If you have lost some or all of your natural teeth, dentures can be used to replace your missing teeth and improve your health as well as your appearance. Dentures are also extremely versatile and durable considering that materials are extremely long-lasting. With advanced dental techniques and newer materials, we can create dentures that are comfortable and durable. Dentures prevent the sagging of facial muscles, which makes a person with no teeth look much older. 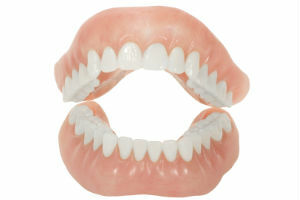 Dentures also enable better eating and speaking – little things often taken for granted until natural teeth are lost. Immediate dentures are those inserted into your mouth on the day teeth are extracted. This means you do not have to go without teeth for even a single day. This type of denture usually needs a reline in a few months to compensate for any looseness that might develop from the healing process. Caring for your denture includes brushing your gums, tongue and palate every morning with a soft-bristled brush before you insert your dentures to stimulate circulation in your tissues and to help remove plaque. Place dentures in a closed container overnight away from pets or children. Pets love to chew on dentures! Always hold denture over a bowl of water while brushing your denture to prevent breakage in case it drops from your hand. Call us for an evaluation if you develop any sore spots or unusual growths under the denture. Everyone’s needs are unique. Complete dentures may not suit everyone. There are options such as implant supported dentures called overdentures which fit better than conventional dentures. Reddy Family Dental invites you for a consultation to discuss your specific case. Regular dental checkups are needed so we can examine your mouth and dentures to ensure a healthy and comfortable fit. To schedule an appointment, or if you have any questions about dentures, call us today at (978) 772 9295. Overdentures are replacement teeth designed to go over dental implants. Overdentures were developed to help both partial and fully edentulous patients regain a quality of life, which most likely has been missing since they lost their teeth. Another benefit of overdentures compared to traditional dentures is the limited amount of bone loss where the implants are placed, making the procedure more successful in the long run and helping to preserve facial structural integrity. Overall, when considering full dentures for the lower jaw, an overdenture should be discussed with your dental professional as it can provide the most effective, satisfying, and longest-lasting alternative. Overdentures are replacement teeth designed to go over dental implants. Overdentures are fastened onto implants that are secured into the jaw in a way that is similar to natural teeth. They tend to be time consuming to fabricate and higher in cost than the conventional complete dentures but their benefits in the long run and their ability to restore quality of life far exceed cost limitation. Regardless of the type, overdentures provide the same comfort and aesthetic benefits as traditional dentures while preventing bone loss, ensuring suitable jaw alignment, and reducing the risk of gum disease, and best of all, you don’t have to worry about eating chewy, sticky or tough foods anymore. The doctors at Reddy Family Dental will be able to discuss further details and help you make the right choice. mplants are small titanium posts that are surgically placed into the jawbone where teeth are missing. These metal anchors act as tooth root substitutes. The bone bonds with the titanium, creating a strong foundation for artificial teeth. Small posts that protrude through the gums are then attached to the implant. These posts provide stable anchors for artificial replacement teeth. Implants also help preserve facial structure, preventing bone deterioration that occurs when teeth are missing.